As I recollect the places I hiked this past year, I suppose Mt. 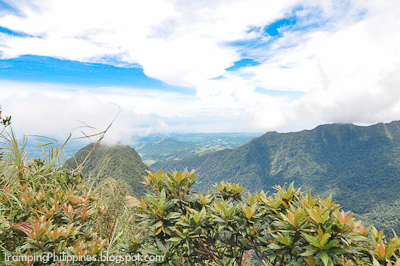 Mariveles is the mountain I have tramped the most. Since June of last year, I’ve been to this particular mountain four times. And, as I run back my memories, one distinct adventure comes to mind as the most unforgettable of all. 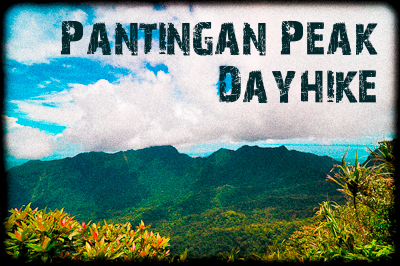 It was the leech-infested day hike of the highest point of the range, Pantingan Peak. As morning came, our van finally reached our destination. It was an early 5:00 AM start but we had to push through that morning so that we could be back at the jump-off before nightfall. The start was nice. 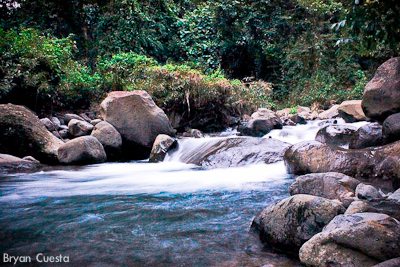 In less than an hour of hiking, we reached the river. 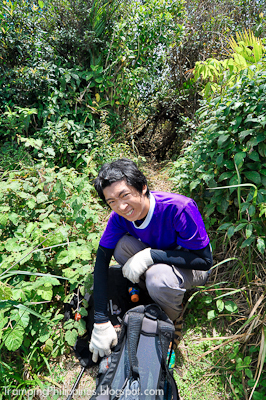 Then from there, it was a 2-hour steady uphill climb to Danny’s gate. The climb was an easy one at that point. 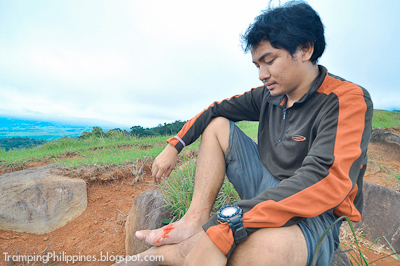 It was comparable to trekking the hills of Gulugod Baboy. 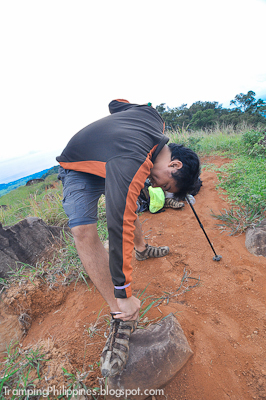 We thought we could reach the summit with ease. But as we started to pass the gate, leeches started its formation of attack. It was a gradual infestation. 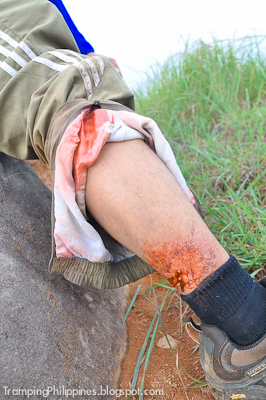 During the first hour, a group of 5 leeches would go straight to our shoes. We had fun at that point. We watched the little monsters as they tumbled their way to our socks, but little did we know that it was just the start of the onslaught. The number of leeches started to increase. We walked faster and faster since even a minute’s rest would be enough for the leeches to swarm all over our bodies. 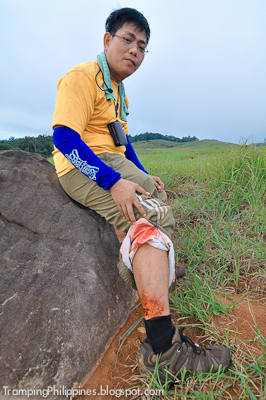 It's bite may not infuse us with toxins but the scenario of more than 15 leeches tumbling straight for me was kinda freaky. As the zombie-like creatures became more aggressive, adrenaline rush propelled us to scramble up the steep rock faces of the mountain. As the distance grew farther, the fast paced climb took its toll upon our lungs. Still gasping for air, we thought we found our refuge at Subangan campsite where we can finally have the much deserved rest we were wishing. But alas! Every inch of the place was taken up by these greedy bloodsuckers. 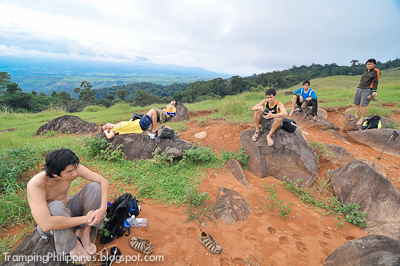 With worn out adrenaline, we sluggishly went on with the climb. 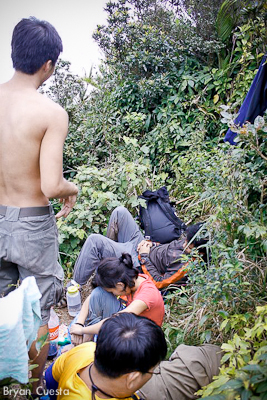 With the non-stop leech attack hounding us, every step we took was grueling. 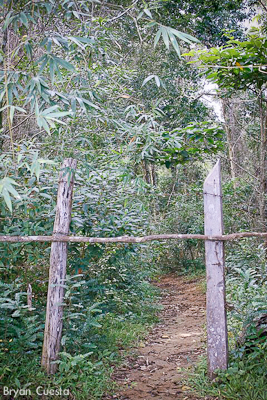 After reaching the Subangan campsite for less than an hour and a half from Danny's gate, the latter part of this climb was the total opposite. 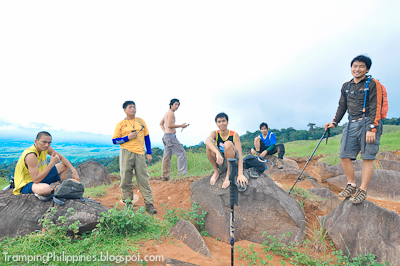 We were only able to reach the summit at an almost 2-hour slow paced assault. Still, the view from atop was rewarding. 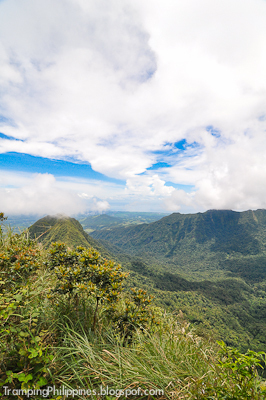 The caldera of Mt. Mariveles looked like a bowl full of broccoli but magnified a thousand times. It made me not care for the creatures crawling up my legs. The setting was just dramatic that a leech bite or two was worth it. We ate lunch at the peak then rested for about half an hour. The summit was still teeming with bloodsuckers. But after 3 hours of gruesome attacks, we really did not care anymore. The trek down to the jump-off was friendlier. For some unknown reason, the leeches were mostly gone. 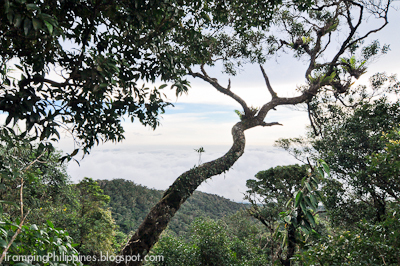 To add to the weirdness of that day, sea of clouds covered the whole of Bagac. 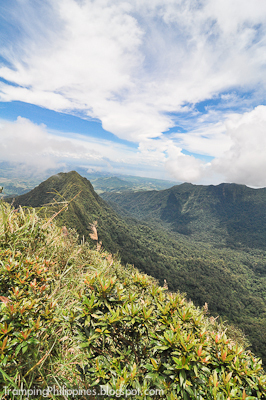 It is not uncommon to see those formations at peaks higher than 2000 meters but since Pantingan is only a thousand, it was absolutely a God-given reward. We savored our trek down. We waited for the sunset at the viewpoint and took a dip at the river for about an hour. We were back at the jump-off by 7 PM. At last, boarding our van, we could finally have a leech-less rest. Mt. 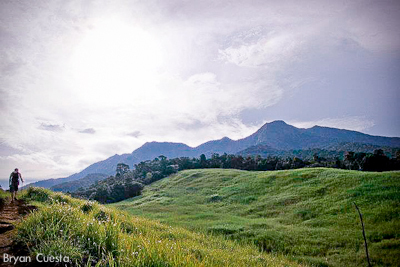 Mariveles, without a doubt, is an awesome mountain. It offers a different perspective with every different path you take. 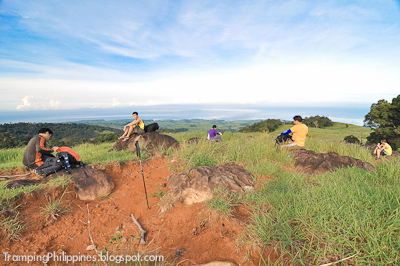 From Tarak ridge to Pantingan peak, mountaineers from all over Luzon flock to this paradise. It is definitely a mountain one can never get tired of going back to. haha. those friendly limatiks! nakapagbaon pa ko nyan pagbalik ko ng bahay :)nice climb! @jhef - every mountaineer's antagonist. Unfortunately, we had no time to take pictures of the leeches because we thought it might rain. hehe. anyways, atleast we got the blood photos. patayin ang mga hayop na leeches na yan! hahaha. thanks ed. anyways, those leeches are hard to kill. we tried almost everything to deter them but they wouldnt budge. haha. Alcohol is the best solution so far. balik tau Sir :) hehehe!! !